Retired music teacher Susan Wiles thought she'd be content knitting baby blankets and volunteering at the local high school, but she is dead wrong. When her husband's best friend Tank is accused of a terrible crime, Susan puts her sleuthing skills into action, much to the chagrin of her husband and police detective daughter. When a dead body is discovered in a construction site behind the school, the stakes quickly escalate. 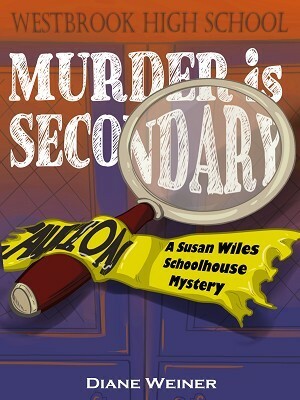 But before Susan can solve this new mystery and exonerate Tank, she finds herself dealing with personal and family issues that force her to realize that Murder is Secondary.